2,020 abstracts received - Top 109 accepted for Oral Presentations and 950 as Poster Presentations; more presentations than ever! Abstracts can be found in the January supplement of AJOG. 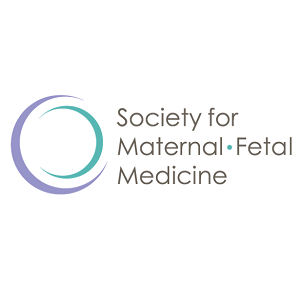 SMFM strives to be inclusive and to meet the needs of our members. In response to feedback from 2018 Annual Meeting attendees, we are expanding resources for families at The Pregnancy Meeting™ in 2019. Childcare Services: For the first-time ever, we are offering childcare services at the Annual Meeting. This is a pilot program, sponsored by UT Health McGovern Medical School and subsidized by SMFM. It is limited to 18 children per hour on a first-come, first-served basis. Registration will be open until January 11, 2019. To register for childcare, please click here. For more details about how this will work, please see our FAQ document. Nursing Mother's Room: Baby-wearing and feeding is welcome throughout The Pregnancy Meeting™. For those who prefer a private space, we will have a room dedicated for mothers to pump or feed children. For the first time ever, we will also use the Nursing Mother's Room as a place to soothe a crying baby or just to burn off some energy for a rambunctious toddler. Connect with Other Families: Las Vegas local and SMFM President-Elect, Dr. Brian Iriye, has established a new online community to share things to do in Las Vegas. Join the community and he will begin to provide suggestions for family-friendly activities for those traveling with children. The community can also be used as a place to connect with other families, plan joint activities or swap babysitting services. Not attending any of the Postgraduate Courses (Mon.-Wed.)? No problem! Just make sure you mark "not attending" under the lunch options for Mon.-Wed. to continue with your registration for the Scientific Sessions. You may still select to attend one of the no-cost sponsored lunches on Mon. and Tues., just register accordingly.